Get the shape you always wanted. See the results of this amazing technique. Call 513-351-3223 to schedule your consultation. Here’s a little secret, almost every mother wants her pre-childbirth body back! We love our children but bringing them into this world has damaged your beautifully smooth body. With the help of a skilled plastic surgeon like Dr. Joel P. Maier, FACS, you can reverse the effects of childbirth and it can be a dream come true. Dr. Maier can help you look great and feel wonderful! Dr. Maier and his team of experts can combine plastic surgery procedures to achieve the shape that you have always wanted. A breast lift with or without breast implants can perk up your breasts and give you the shape you once had and the size you always desired. Liposuction is a popular surgical option for dramatic weight loss to specific areas of your body. Abdominoplasty, also called a Tummy Tuck, will remove the excess skin caused by weight loss or childbirth. Combining these procedures will bring a shapely figure to patients whom desire their youthful form once again. Looking great and feeling wonderful! 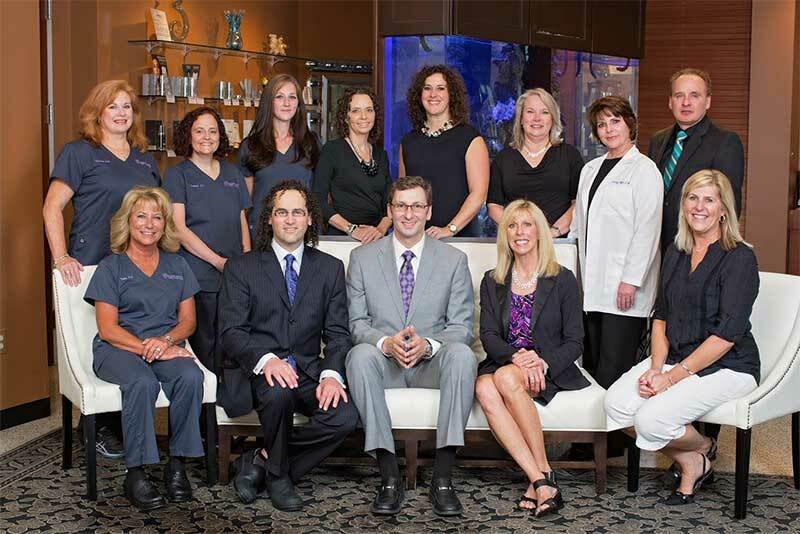 Dr. P. Joel Maier, FACS is a trusted Cincinnati, Ohio breast augmentation, liposuction and abdominoplasty plastic surgeon. To learn more, please contact his office for a consultation. It is called liposculpture, lipoplasty or suction lipectomy by various plastic surgeons. The procedure focuses on one-time fat removal, and Dr. Maier recommends regular fitness and dieting to keep the weight off following surgery. Abdominal incisions are made small and discreetly in the bikini area, so that the minor scars will not show after a procedure. Anesthesia is administered, and a full tummy tuck is typically completed within a few hours. A mini tummy tuck may be completed in as little as in hour through outpatient surgery. Recovery time varies with each patient. The amount of fat removed and skin improved will affect acute recovery time, or time when limited physical activity is recommended. This should only last 4 to 6 weeks, and driving is not recommended until at least 2 weeks after the procedure. A follow-up visit with Dr. Maier will be scheduled to check the progress of recovery, and a healthy diet and fitness routine is the best way to ensure long-term results following abdominoplasty. Internal sutures will dissolve after about 3 months. Numbness of the skin may persist for 6 months or more. Pain medication is prescribed for immediate recovery, and incision tape is changed 10 days after the procedure. Scarring should heal within a year. Most tummy tuck patients schedule related procedures to improve their body shape and contour, such as a thigh lift, liposuction or breast lift. In this case, planning for each specific procedure and recovery time will be part of the initial consultation. Liposuction in Ohio may be the only solution for especially stubborn body fat. Dr. Maier’s ultrasound assisted liposuction is perhaps the safest, most effective option for liposuction Cincinnati has to offer. Realistic expectations are essential. Firm, elastic skin reduces the risk of noticeable post-surgery droop or loose skin. Obese patients may not achieve dramatic results with a single liposuction surgery, meaning a more specific long-term body sculpting plan will be created. As with all surgeries, there is the risk of complications. Patients must share any known allergies or medical conditions that may affect the surgery. Cellulite is not improved through liposuction, as there are no proven surgical solutions to the appearance of cellulite. Age is not a determining factor for this procedure. Abdominoplasty also helps restore a young figure. A tummy tuck removes excess skin and fat from middle and lower abdomen areas, while tightening muscles of the abdominal wall. The goal is to dramatically reduce a protruding abdomen, or big belly. Dr. Maier begins by consulting Cincinnati tummy tuck patients to understand their expectations for weight loss and body sculpting. If a patient is a good surgical candidate, a procedure is scheduled and a post-surgery plan is created. Are You Right For Tummy Tuck Procedures? Good candidates for abdominoplasty are men or women in decent shape. In other words, obese patients may not achieve the results they desire from a tummy tuck alone. A smoother, stronger midriff results from the procedure, along with a more youthful appearance around the pelvis, thighs and hips. Many Cincinnati abdominoplasty patients include women seeking help after multiple pregnancies. Another common patient type is an aging patient with a loss of skin elasticity in the middle. Tummy tucks address these trouble areas, and there are also partial abdominoplasty options, or a mini tummy tuck. To learn more about Cincinnati tummy tuck, liposuction or other body sculpting procedures, please call Dr. Maier’s office today at 513-351-3223! *Please note that all information on this page is based on the medical and surgical knowledge of Dr. Maier, and that nothing on this website may be treated as a guarantee of services. I am so happy with my new body! Thank you so much Dr. Maier. You’re the best doc! Wow, what a difference! I am really happy with the results. Thank you so much. Dr. Maier, the procedure (tummy tuck) is pretty amazing! Best wishes. Greetings from J.F., a happy tummy tuck patient. I LOVE my tummy!